Knights are Catholic men, 18 years of age and older, who are committed to making their community a better place, while supporting their Church. Being a Knight is more than camaraderie; it is being involved with your community; it is supporting your local Catholic Church, while enhancing your own faith; it is about protecting and enhancing your family life. The Order has been called “the strong right arm of the Church,” and has been praised by popes, presidents and other world leaders for support of the Church, programs of evangelization and Catholic education, civic involvement, and aid to those in need. Please visit Knights of Columbus to see the worldwide efforts in preserving the doctrine of the Catholic Church and the evangelization of our Faith. 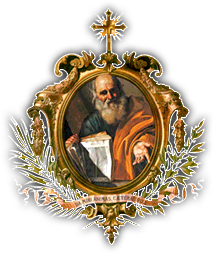 For information on joining St. Andrew the Apostle Council No. 9107, please contact David Lassere, Membership Director, at (504) 391-2215 or dlassere@cox.net.